For a classic look with Dansko comfort, reach for the Dansko Fawna. 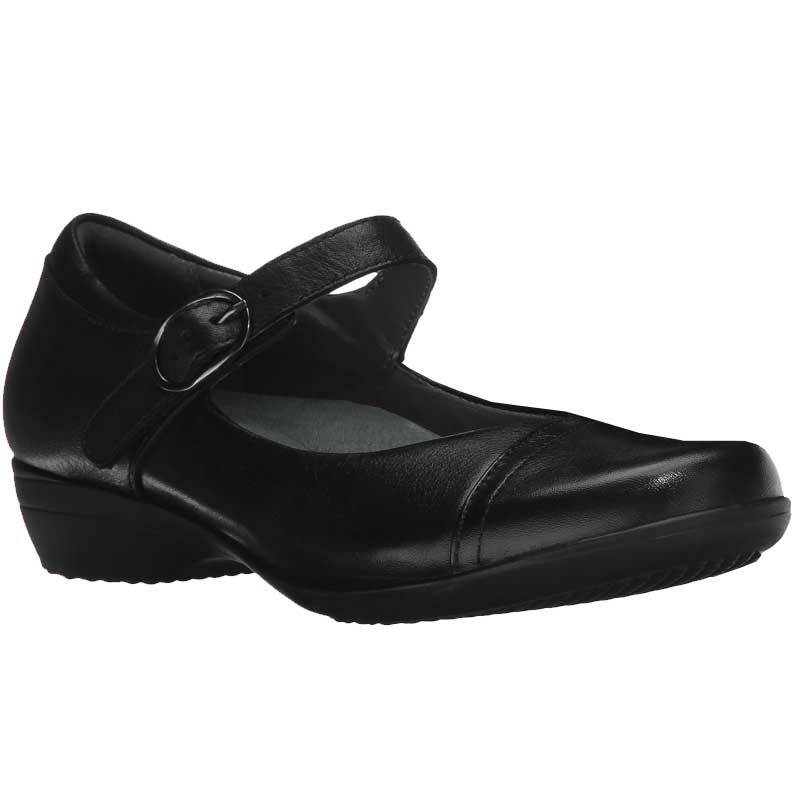 This Mary-Jane style has an upper made of rich leathers with an adjustable strap to ensure a secure fit. The classic silhouette with stitching detail provides a flattering look and the roomy toe box allows you to spread your toes for a natural step. The removable footbed features Dansko Natural Arch Support while a shank provides even more support and stability. The Fawna is finished off with a rubber outsole for long-lasting wear. Step out in comfort and style in the Dansko Fawna.